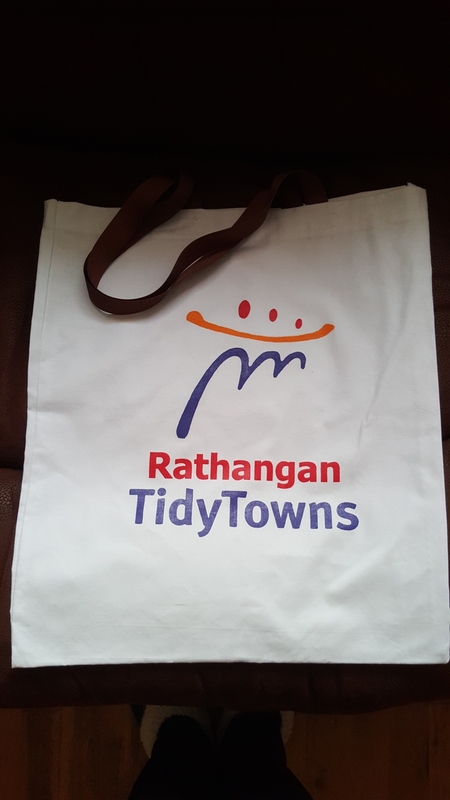 Rathangan Tidy Towns has teamed up with local store, the Leinster Fresh Produce Shop, for a plastic packaging free week-long trial. Don’t worry if you don’t have a shopping bag. 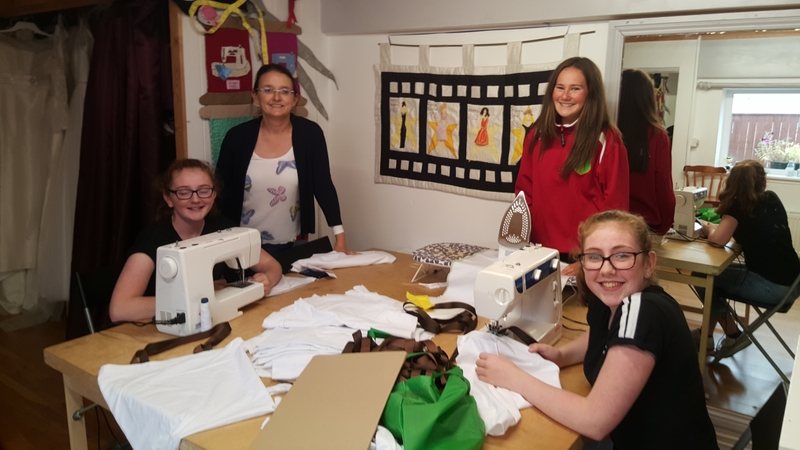 Three of Rathangan’s Creative Sewers lead by Aideen Cross have made some durable reusable material bags for shoppers to buy at the store. Leinster Fresh Produce at the Acorn Business Park in Rathangan is selling loose fruit, vegetables and fresh bakery for this week without plastic packaging or plastic bags. Paper bags, cardboard punnets and boxes are being provided instead. Some posters have also been put up in the shop with tips on how/when to dispose of plastic in everyday life. “We wanted to reduce the amount of plastic packaging that is sold in the town and create more awareness about plastic packaging and sustainability,” added Vanessa. At the end of the week, she said she will be asking the store for feedback to see if this is something that can be done again. The store is open from 8.30am to 2pm from Monday to Friday. It’s hoped the Tidy Town’s bags will also be on sale in other shops in the town. Vanessa explained how she was successful in applying for a small grant for the initiative through Repak and Voice – Recyling Ambassador Programme. Aideen Cross bought one bag of the material for the project and Celtic Linen donated the other bag.